Chuck and Mike welcomed Richard Flamer and Ben Manski to the show. 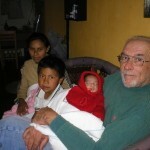 Richard runs The Chiapas Project in San Cristobal de Las Casas, Mexico. This community center includes a day care center, a modest kitchen, and classrooms for adult literacy, sewing and carpentry. It’s a living continuation of the Catholic Worker movement started in 1933, New York City, by our co-founders Dorothy Day and Peter Maurin. Their ongoing commitment is to attempt to live out the Gospels and nonviolent teachings of Jesus, of Gandhi, of Mohammed in their daily lives. 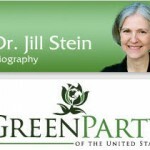 Ben is the campaign manager for Green Party presidential candidate Jill Stein. He’s also a well recognized voice in his own right, whose work work has taken him from farm fields to forest blockades, labor struggles to independent politics, clinic defense to legal defense, and to every region of the country. Internationally recognized to be among the most innovative of the new generation of U.S. progressives, Manski is best known for his efforts to build a new democracy movement in the United States.We look forward to some enlightening discussion with these people who are actively trying to make a difference.